Those are adorable! I love your instructions too--the seem very do-able! I'm pinning! your instructions are really easy to follow! are you a teacher per chance? Thanks Katie! 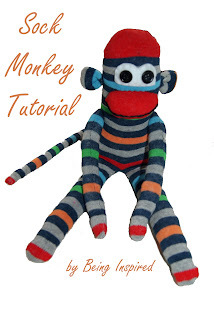 I'd love to see your sock monkey if you make one! :) I'm all linked up to your party too, thanks for hosting! Thanks so much for stopping by Taking Time to Create and commenting on my Crochet Striped Tote post. It's really not too difficult to crochet (much easier that I thought it would be). When I first started I went to JoAnn's and bought a beginners "kit" with a little book and all the tools (other than yarn) that I would need. I was a huge help and I still refer to the book when I'm a bit rusty on a stitch. Good luck learning! These are both super cute but I LOVE the fleece one. Great tutorial. Thanks so much for linking up to Creative Thursday. Can’t wait to see what you share next week. Have a great weekend. These are SO cute! 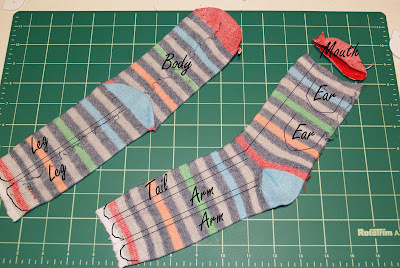 I am excited to make one...maybe for my little boy. 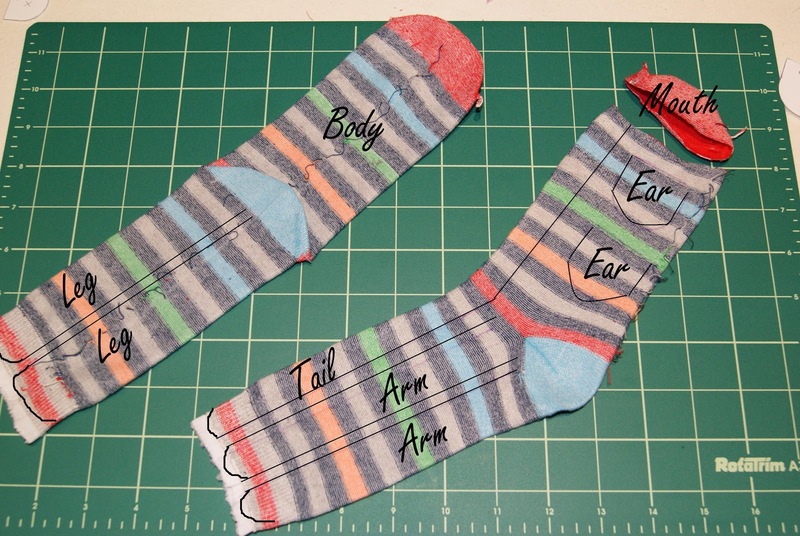 I know I have some socks stuffed away somewhere that I've been saving for a project like this. Thanks for the tutorial! Very cute! I'm stopping by after your comment on my odd socks post, looks like we should definitely try these next! I just made some and love them. Gave one to my new grandson! I used the original Rockford socks but I like the look of other socks too! I love the sock monkey you sent me last year for your 100th Follower Giveaway! He is sitting atop the bookcase in my sewing room! Not sure if my comment went thru, but I was one on the lucky winners of your Sock Monkey last year! He is proudly displayed on my bookcase in my sewing room! Thank you for posting the instructions...I want to make one!